Sierra Leone is developing its first ever Nurses and Midwifery Strategic Plan, the country’s president, Julius Maada Bio, has disclosed. 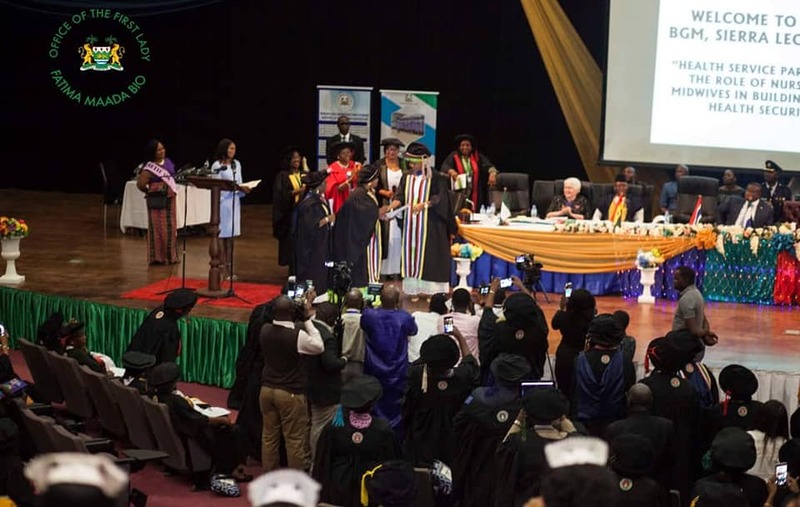 President Bio made the revelation on Tuesday as he officially opened a conference of the West African College of Nursing and Midwifery (WACN). Bio, whose speech was characterized by the sacrifices of nurses and midwives, said the Nurses and Midwifery Strategic Plan 2019-2023 would lay out six major pathways for developing nursing education and practice in the country, in line with his government’s priority of human capital development. WACN provides professional training opportunities for nurses and midwives in the five English speaking West African countries that make up the organisation. Its biannual conference offers nurses, midwives, other healthcare professionals and the general public an opportunity to come together to discuss community and health workforce responses to current health issues of the region. The Freetown meeting, which is the Fifteenth Biennial General Meeting and Twenty-Fourth Scientific Session and Thirty-Ninth Council Meeting, is being held on the theme: ‘The Role of Nurses And Midwives in Building Global Health Security’.